Decorating Den Interiors has been in existance since 1969 offering full service decorating for residential and business spaces. We work with your ideas and within your budget to create a room, or an entire home that you will LOVE to spend time in. Contact us today for a complimentary consultation (evening and weekend appointments available). 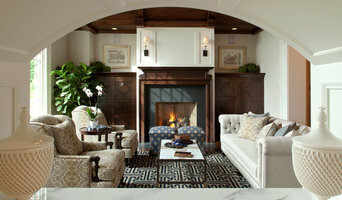 Christina Lynn Interiors is improving spaces with your style. We provide design consultation to the home owner or contractor as well as a retail home furnishings showroom that allows us to access choices of furniture, accessories, art, window coverings, lighting and numerous choices that will complete any space. Independent interior design specializing in residential design, remodeling project design and management, and wine enthusiast. If interior design was an illness, then bring me to a doctor. I’m the kind of dinner date that goes to a restaurant and stares at the restaurant’s décor before the menu. My heart flutters when I see the sophistication of a classically designed Louis XVI chairs or, conversely, the clean lines of a contemporary Mies Van der Rohe Barcelona chair…and I think my heart stops altogether when they are appropriately blended together in the same space! If interior design is an illness, I guess I’m not looking for a cure. What can I do for you? Beyond designing beautiful residential interiors, I specialize in designing and managing large scale residential renovation projects, new construction planning and finish selections and every dream in-between. My goal is to present each client with different options and design choices (hopefully, some you’ve would have never thought of on your own) and implement each element artfully in that unique design plan. And, of course, we cannot forget about having some fun in the process. Innovative and elegant designs combined with exceptional customer service are the keys to our success. Serious Design, Wicked Fun! Jaimie attained her design degree in 2004 and has been active in the industry ever since. She has a passion for creating well designed homes that are both functional and beautiful. Jaimie believes that a home is a collection of all of a client’s favorite things, and it should reflect their lifestyle. She understands that comfort doesn’t have to be compromised for style and a good design offers both. Jaimie’s inspiration comes from her clients. Her main goal is for them to love their homes. Throughout the project, she helps her clients make the best design decisions while enjoying the process itself. A good home design professional will hone your style down to its very essence and be able to choose a functional layout that feels natural to you. Interior design companies can be involved as much or as little as the client desires. 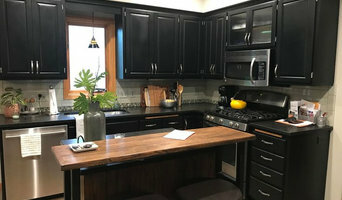 Many clients who hire an interior decorator in Lino Lakes, MN — particularly those who are remodeling — have a good sense of how the room should look and what products they should use. Often clients will insist that interior decorators use the products already present in the house. Other times a designer will need to start from scratch — especially if this is a newly purchased or just-built home. An interior design company will need to figure out exactly what the client needs, which includes organizing rooms, picking flooring and wall colors, and finding furniture to complement it all. Sometimes that means he or she will have to recruit help from other Lino Lakes, MN home professionals to help create the perfect look for your renovation. Here are some related professionals and vendors to complement the work of interior designers & decorators: Architects & Building Designers, General Contractors, Home Builders, Design-Build Firms, Photographers. Do your research before meeting with an interior designer or home decorator in Lino Lakes, MN. Ask yourself what you want your space to become and what it will be used for. Figure out the extent of what you need help with, what your must-haves are and what your budget is. Interior design services can add up fast, so be up front with a potential design firm or individual from the beginning. Also, pick an interior decorator that fits your style. Browse through the portfolios of different Lino Lakes interior design firms and decide if you would live in those houses. Just because you like something doesn’t mean you could live in it. There's a big difference! Find an interior designer or home decorator in Lino Lakes, MN on Houzz. Narrow your search in the Professionals section to find Lino Lakes interior designers near you. 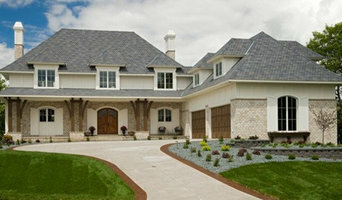 You can also look through Lino Lakes, MN photos to find a room you like, then contact the design firm who designed it.